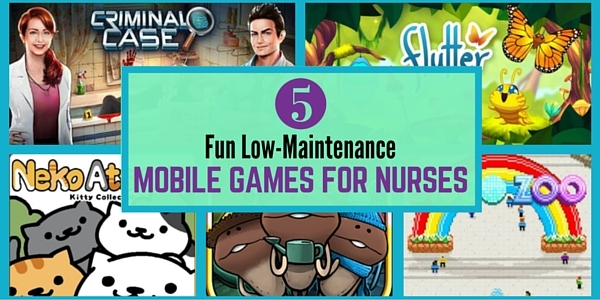 Mobile games for nurses are an ideal way to de-stress and relax from the rigors of work. 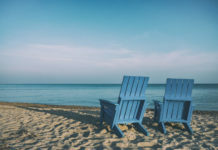 Oftentimes, a nurses’ world becomes so occupied with patients and hospital procedures that some respite is in order. 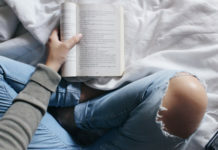 In these cases, non-nursing games are the best for breathers. One other similarity we’ve noticed in these mobile games for nurses (with the exception fo the crime game), is that these are all games where you nurture and take care of living things. It’s not far off what a nurse does in real life but it’s still different enough to give you an element of fun. There’s cats, after all! Below are our Top 5 picks in no particular order. 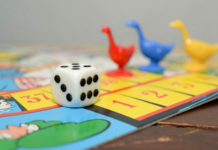 Please remember that all these games have nothing to do with nursing and that’s the main idea. What’s it about: Neko Atsume is a fun game where you collect cats by leaving out toys and food. After visiting your yard, they leave fish that you can use to buy more toys and food. Objective of the game: You get regular and rare cats to visit your yard. In addition, you can try to take photos of all the cute cats a-visiting, collect the mementos they give out, and maybe buy all the toys and yard styles available in the Shop. Why it’s fun: If you’re a cat-lover, this is a no-brainer. 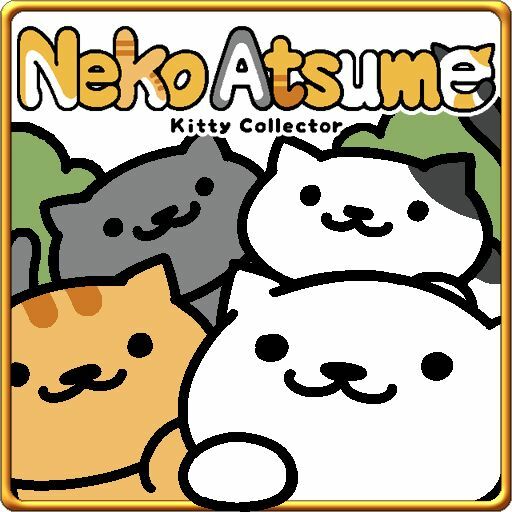 You’ll love Neko Atsume. It’s also fun checking which cats are visiting and how the cats interact with the toys. Pros: The strength of the game is that it is low-maintenance. After leaving some toys and food out in the yard, you can check back later when you happen to have time. There is no penalty for not checking back with the game. 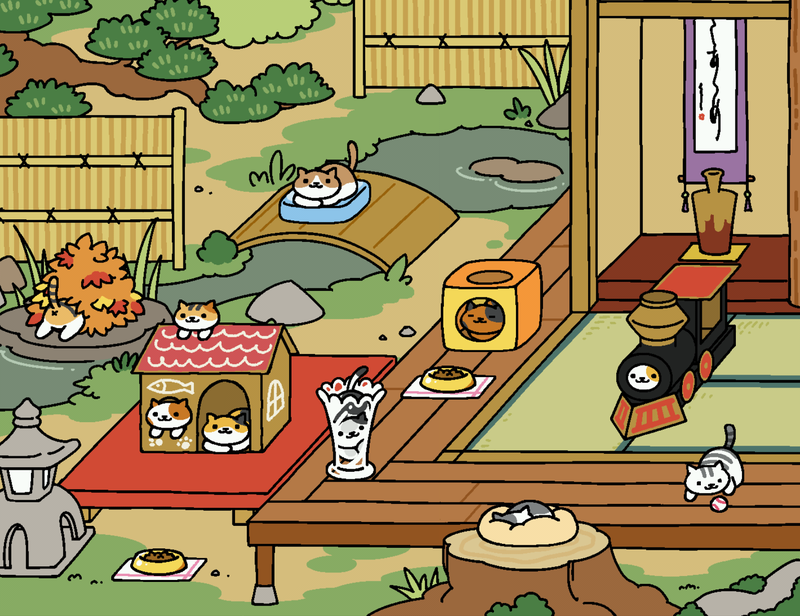 At worst, the cats eat up all the food (or the greedy Tubbs does) and your yard goes empty. Still, you can accept their fish gifts anytime. In a nutshell, you can play this game at your own pace and there is no feeling of pressure to move forward. This makes it an ideal game for nurses! Cons: After making sure the cats are fed and entertained, there’s really nothing more you can do with the game. It’s good because you can’t really spend that much time on it even if you wanted to (unless you’re happy to stare at the cats for hours on end) but it’s also a down side because the level of care you can provide is limited to just toys and food. Game guides are available HERE. What’s it about: Mushroom Garden, also known as Fungi Gardening, is exactly as the name implies. 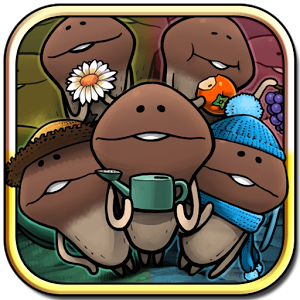 You’ll grow mushrooms with special tools that you level up so you can get the rarer mushrooms species. 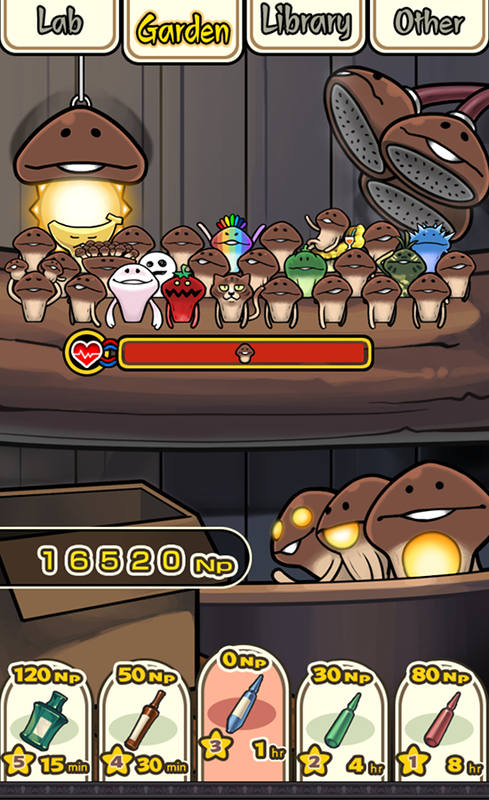 Objective of the game: The main objective of the game is to collect all the mushrooms in the Library. The game tells you what percent you’re at and what species you’ve already unlocked. The unlocked mushrooms show their outlines so it’s quite intriguing. Why it’s fun: The mushroom species are zany. They’re obviously made up but it’s part of the fun. For example, the Angel Mushroom is celestial and can send you to heaven! The best part though is the sound that the mushrooms make when they’re being harvested. You won’t get tired of it! Pros: Mushroom Garden is very easy to play and like Neko Atsume, it’s superlatively low maintenance. The mechanics are very simple and you just harvest mushrooms as they grow. Cons: There is actually a penalty if you don’t visit your mushrooms before the time runs out. The mushrooms will wither and your log will get moldy. But the solution is simple! You just buy special tools to keep these things from happening. Easy fix! What’s it about: Similar to the first two games, Butterfly Sanctuary is a collection game. You attract, birth, and raise butterflies in an ever-growing ecosystem. 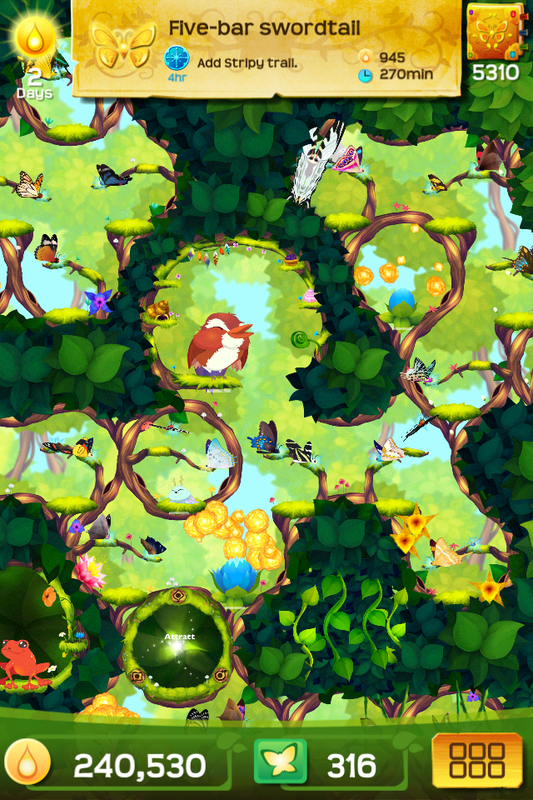 Objective of the game: The butterflies come in sets and the objective of the game is to collect new species each time and collect all the information about each butterfly species. Why it’s fun: Surprisingly, you can get attached to your butterfly collection. Also, you can’t help but LEARN the scientific names and the trivia of each butterfly because they’re built so cunningly in the game. Essentially, you won’t realize you’re learning stuff because it’s really a lot of fun. For example, the resident bird in the area has missions for you. She describes the butterfly she needs for the mission and it’s up to you to identify which species is the right fit. This way, you learn a lot of butterfly triva inadvertently. You’ll be a butterfly expert nurse in no time! Pros: The game features are very rich and layered. And who knew that butterflies could be so interesting! Cons: There’s no penalty for not checking back in the game but if you’re not careful, you’ll want to check in every hour just to collect honeydew. Resist the temptation. Otherwise, you can play and grow your collection at your own pace. 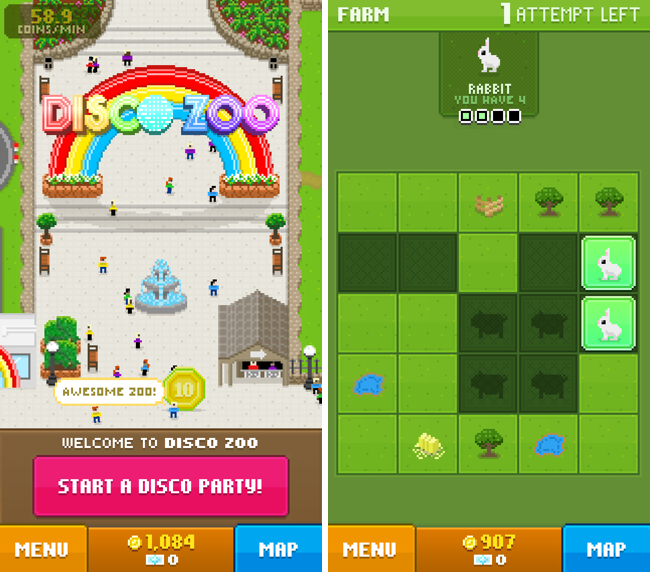 What’s it about: Disco Zoo is a game where you build your own Zoo. It’s in pixels so there’s a vintage feel to the game. Objective of the game: The primary objective of the game is to find animals to populate your zoo with. There are faraway places you need to visit and puzzles you need to solve in order to secure your animal collection. Why it’s fun: Even if you hate the thought of zoos, you might find that this game is a lot of fun. It’s surprisingly fun to play especially when you start to find your first rabbits or horses. The puzzles and the witty repartee of folks in the zoo make this game a lot of fun. 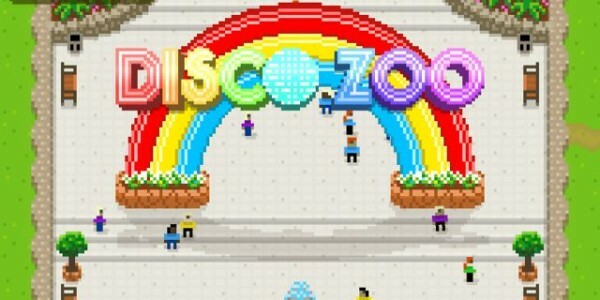 Wait, did we mention the Zoo Disco Party?? Pros: The game is very simple to play and you can find one animal each time whenever you find yourself with free time. It’s a nice diversion from the usual trials and tribulations of regular nurse shift duties. Cons: There might be an occasional hard crash on your phone. It’s normal. Watch a quick tutorial HERE. 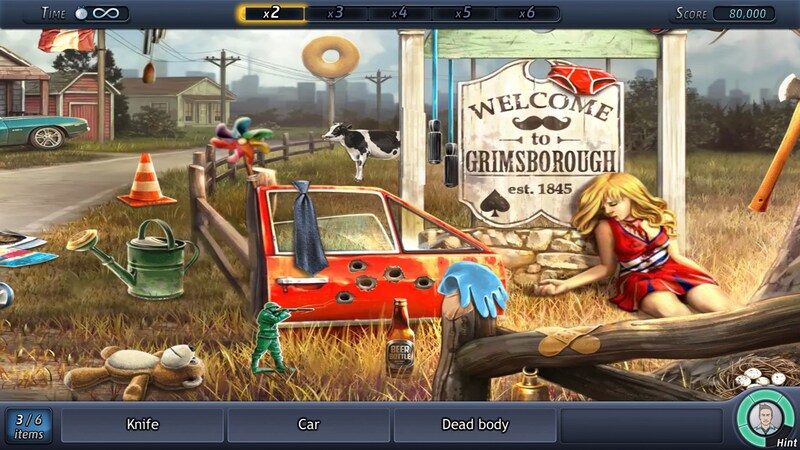 What’s it about: Criminal Case is a criminal investigation-themed hidden object game. We didn’t know you could cram all that in a game but it’s huge loads of fun! Objective of the game: Find the hidden objects in each case to move forward in solving murders and crimes. Why it’s fun: Investigating and solving crimes is always fun. And while other people with more sensitive stomachs might find the game visually disturbing or gruesome, nurses won’t blink an eye at the gore, blood, and stab wounds. It’s one of our favorite mobile games for nurses. Pros: Thanks to touch screens, this game is really easy and a lot of fun to play. If you’ve played hidden object games before, you’ll know that sometimes, objects are hidden in some stupid places. Criminal Case has more finesse and usually hides the items in plain sight. Cons: Potentially addictive. Don’t do more than one crime scene at a time. Also, if you play it long enough, it can get repetitive although the cases are interesting and even interconnected to a larger case. Did you find anything interesting? Are there a couple of the above mobile games for nurses that you might want to try? I’m sure we missed on some good ones. 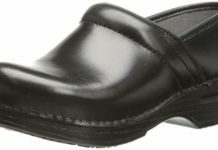 Tell us all about them on our FB page!